When we analyze each Hub by internal quality score, we see very little differentiation between our lowest-rated and highest-rated content. It's extremely unfortunate to see really good authors lose a tremendous amount of traffic. 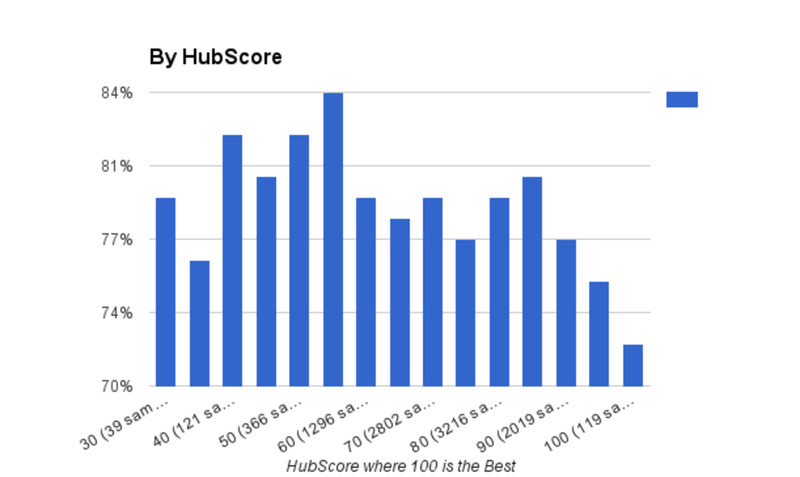 We compared the traffic losses of our hand-picked, high-quality Editors Choice Hubs that are on the main HubPages domain vs Hubs on subdomains and they both lost 22%. We compared professionally edited, HubPro-Edited Hubs to unedited Hubs and they were virtually a tie at a 22% loss on average. Squidoo-imported Hubs were down just about the same as original Hubs. 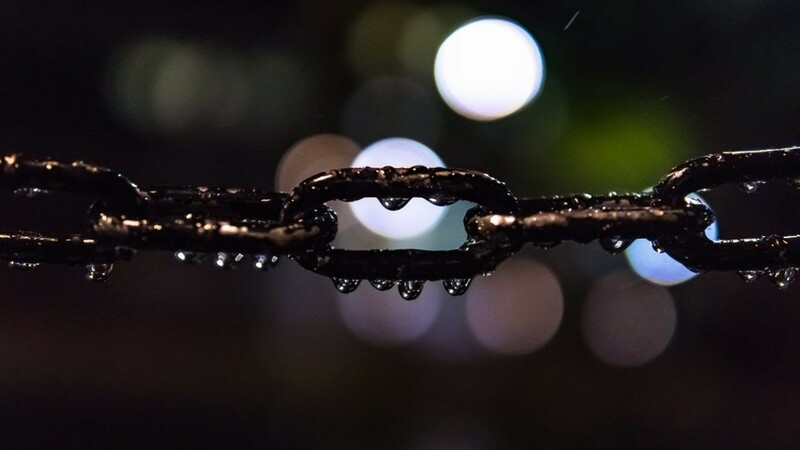 We compared how Hubs with external links and affiliate products did comparatively, and we didn't see any meaningful variation. This means Google applied a site-wide ranking factor that ignores quality and subdomains. I'd call this a very blunt site-wide whack if your site is on the wrong side of this algorithm. 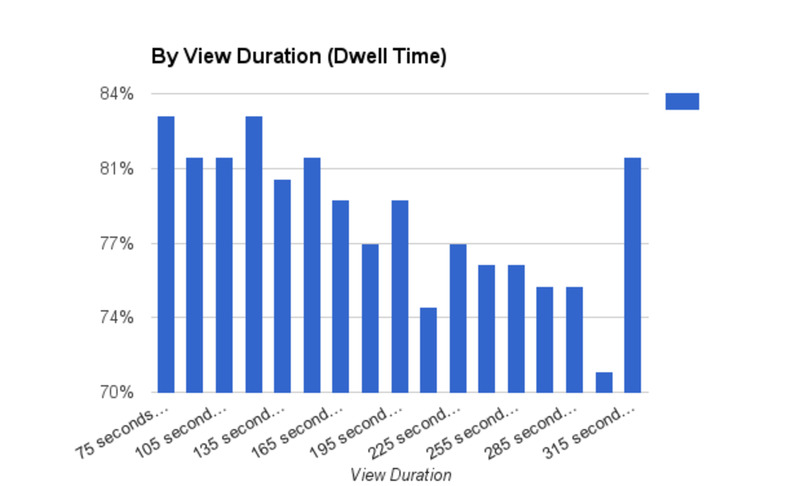 As with our quality distribution, we didn't see any significant differentiation in Google's traffic change based on dwell times. Dwell time and word count are highly correlated. We didn't see differentiation by analyzing traffic changes by word count either. If you've followed search, you've probably heard folks talk about how Your Money and Your Life topics are held to a higher quality bar. 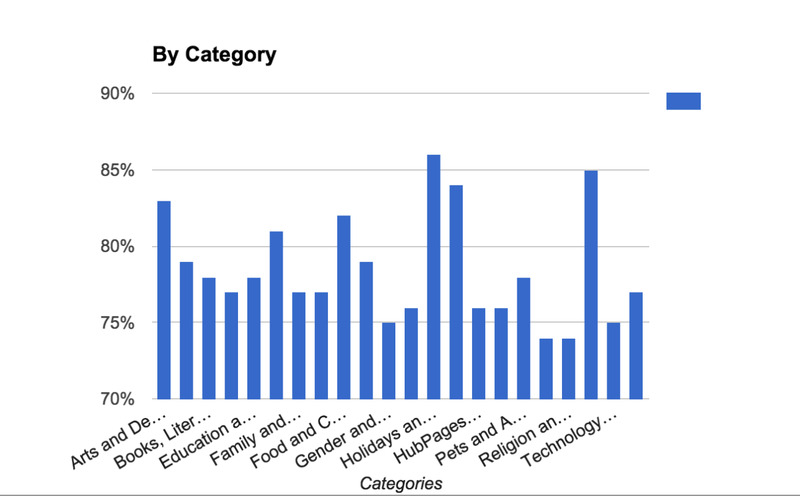 However, we saw the biggest categorical drop in our Religion category—perhaps it's just an outlier. We compared our traffic change by category to another large site that was hit, and while we lost different amounts, the relative correlation was there across categories. This appears to be the most significant connection we can find, but it's still not very useful. With most Google updates, fluctuation by subdomain is common; However, in the last update nearly every subdomain lost traffic. Looking at the buckets for HubPages authors, you'll see that this was a really hard on folks across the board. 90% of the accounts we sampled saw a decrease in Google traffic. A big reason we are on subdomains is so each Hubber can be evaluated on their own merits. This update does not insulate subdomains and affects all accounts no matter the quality. This list was sent to me that highlights a few sites that were impacted and others that weren't. While Google said that this wasn't a Panda update, in my very small sample list, it does seem like sites that have had Panda issues tended to do poorly with this update. Again, I'm truly sorry to Hubbers that have been affected by this update. We are feeling it as well. We will continue to do our best to get HubPages in Google's good graces, and hopefully reduce the volatility while we raise the quality of our site. As most people know on HubPages, we have put a considerable amount of resources into aggressively editing the highest traffic pages to improve the site for the vast majority of readers. At the same time we have been no indexing a tremendous number of pages. The hope is we can raise our overall quality to escape Panda once and for all. We will continue these efforts. I'm going to pass this analysis on to John Mueller at Google and hopefully the search team will take a look at how this update is impacting the whole of HubPages. Well how does one prove one's credibility? That said, Google has focused for some years on wanting only to have sites where there are qualified journalists working. I'm starting to believe more than ever before that some of the latest updates are focusing on expertise and credibility. In other words, is the writer qualified (have they gone to school in the field they are writing about, or do they have any professional associations in that field), or are they simply writing on the topic in the hopes of earning ad revenue? I think this is becoming more and more relevant with each update. Thanks for the Update. Seen it late but still, it does make real sense now that I know what took place. Sure and why not? I trust Hubpages and it will always cover over everything!! It is really hard to tell what helps. Now that you mention it, my name only helps on the sites I work on the most. I wrote enough to be accepted on a few sites before the money went down to almost nothing, and I don't see traffic from those sites. A few of them still exist. Jean, not sure that it is name recognition. My name recognition doesn't help me at all. If it did, I would get traffic wherever my name is, and I don't. As far as I can see, the traffic one gets is directly related to the popularity of the website on which one is posted. I agree with one of the above posts which says that name recognition may matter to Google. I don't write as much as I used to, but was writing constantly for about two years, and many articles I wrote three years or more ago are still strong, in a pretty saturated subject. I am a new Hubber (9 hub pages) one month now. Still waiting to earn my first penny of revenue. Not too exciting. Very useful and interesting hub. I am able to learn many facts about google updates and changes in assessment of content by google webmaster tools. Thanks for this valuable information to our hubbers. I agree with Tess Google do not care what the writing is like only that the articles get traffic. Ironically you can have the best article ever and if it does not get traffic it will not rank. Google will rank new sites with good SEO, but if traffic does not come the rank drops fast. Site age and author reputation are what it is about. Ads only pay if there is traffic if there is not then forget it and Google are a limited liability company so the bottom line is what it is all about. Thank you for this article. Sadly, along with my readership, my crawl rate has also significantly declined since this update. My hubs have not been crawled for 9 days, when they are usually crawled daily at a minimum by Google. I have one hub that is a high-volume topic, and the has received 325+ views daily, and even up to 600 views for a few months. Now it is at an all time low of 160 views per day since this update. OUCH! Given her extremely good number, Tess Schlessinger makes a lot of sense. Obviously the way she writes is working, event though it goes against everything we have been taught here. Again and again I see lower quality work or very popular topics winning the page views. I think she really has hit the nail on the head wit her comment! I'm doing my best to produce great hubs, I hate the term spam applied my to work. Paul, I am a Squidoo transfer and starting April22 I have seen an uptick in views. Since that date the daily traffic has been erratic with a few days of deep dips with other days going to peaks that reflect more traffic than the patterns of the past year. I was thinking my Hubs were finally earning their authority back. Believe it or not, as far as I analysis the whole mess up thing on HP traffic, I reach the point that all this happens after acquired Squidoo by hubpages. Squidoo got that and HP team added that dead content to this great site and in response this site also going to die. I do not believe for one minute that Google wants good quality content. My experience dictates that Google wants popular content which already has a strong following. Google makes the assumption that if something has a strong following, then it must be good quality. As we all know, that simply isn't true. Something can be badly structured, have terrible spelling, but it is about a topic that is highly desirable written by a person who is very popular. Google would prefer for it all to be grammatically correct, but that isn't the number one factor. Over and over again, during these past years, I keep hearing SEO gurus tell about how it is content that matters. And then the people write the content, and the google engine passes right by on its way to the site with 1 million followers all talking about Twilight. Um. Yes. Google doesn't like content sites because it has no way of telling which articles are 'good quality,' and which articles aren't. Sure I noticed that HP has now transferred those articles it thinks are good quality to HP's own domain. I never thought that the sub-domain issue would resolve anything, because I don't think that quality is what the real issue is. Since Panda, I have not been able to use Google search to find high quality information. Everything that comes up is related to business or some trite topic. Anything of essence is hard to find. In effect, the internet has become useless as a search engine to me because it cannot find good quality information. Ironically, before Panda, it could. By virtue of the fact that only one article/website gets to the top of the SERPS for each search engine term, and by virtue of the fact that there are 7.5 billion people on this planet, it is inevitable that most people will not be number one. It doesn't matter how good your article is and how much you keep it up to date with relevant information, and cutting edge information. The bottom line is that if you don't have the followers to read it, Google won't notice it. In order for something to be noticed by Google, it has to have a lot of human interaction. I have noticed that algorithm over and over again on Google Plus. There' a reason I've had just on 40 million views in under 4 years. I have been checking to see what works and what doesn't. So let me share it with you here. 1. It immediately gets the attention of a lot of people. 2 They immediately comment on it and they immediately share it. I'm pretty sure those are top factors when google search engine decides to send traffic somewhere. It doesn't treally matter if HP ranks it according to it's own standards. Google isn't looking for good content. It is looking for popular content. If you look at the sites that have gained traffic, they are all sites where many people congregate to chat. Perhaps it's time HP removed its forum and made it possible for people to chat in a similar way on each hub. Or something. "But why did HubPages see declining visibility across the site, even for pages with informative, researched and edited content? According to Gabe, the algorithm is ruthless, punishing an entire domain when it recognizes a certain percentage of spammy pages." Up to two search boxes"
With 10 ads on every hub, all our hubs are extremely spammy. Reduce the number of ads to the Google recommended number of ads , Adsense or other. Too many ads also slow down loading time and discourage readers from engaging. Very interesting stats Paul. In particular I found it interesting to see the subject matter stats as I think I was less affected than some. I can now see why. Thanks for providing this information. Thank you for putting our minds to rest Paul. It's been a couple days of worry and I've been tearing my hair out, wondering what I'd done wrong AGAIN. It's a good feeling knowing that you and the team are working hard trying to get to the root of it all. Meanwhile, I'll cease updating and tweaking till all this settles. Hubbing is almost becoming depressing, no thanks to G! Thank you for the info Paul. good luck with your future discussions with Google. Thank you for the info Paul, I appreciate you keeping us up to date. How about the folks at Google woke up one morning and said, "Let's all s--t on HP! Thank goodness, I thought I was going mad. One of my own websites had the same thing happen on the same day, and I hadn't changed anything. So it does seem like Google did SOMETHING, whether it was a Panda update or something else. Thanks for the update Paul, much appreciated. I have found that promoting Hubs on Google+ seems to help my Google traffic. A not level field perhaps? I think a hard dose of reality is needed here, you have answered your own questions. This is the bell tolling for thee, the content farm is not a friend of Google. Fair has nothing to do with it either, Google can do what ever it wants, just like HubPages can do what it wants regarding its authors. Think smaller, independent, and much more personal from here on out with writing sites. Thanks for the update Paul. I´m glad I am not the only one losing a lot of traffic and that you let us know about why. I was wondering if it was just me, but all of my accounts were hit equally so you confirmed the sad news I was only guessing about. I wonder if Twitter was the gainer at our expense? I love Twitter, but it only rocks with great content and deep content such as HP is so much more enjoyable for me. Is this going to be millennial verses babyboomer split eventually? Oh, too many questions and the crystal ball is cloudy today. Thanks for offering a glimmer of insight to brighten my day. I was truly dismal before reading this. The good news is I am in great company! Thanks for updating us on this google traffic issue. It is really frustrating that we writers have no control over all these changes which can really affect traffic and numbers. I really appreciate you filling us in on this issue. Okay makes sense, I've lost plenty of traffic on one of my Hub Pro edited hubs off late, but my numbers are still up (and a bit higher than usual) because of the seasonal hubs kicking in. Thanks for taking the time to answer Paul. There are usually a few outliers, but for the accounts that grew, it's a really small sample size, so we can't draw any conclusions. I did look at a few accounts that grew and there was usually something seasonal causing it like Mother's Day topics. 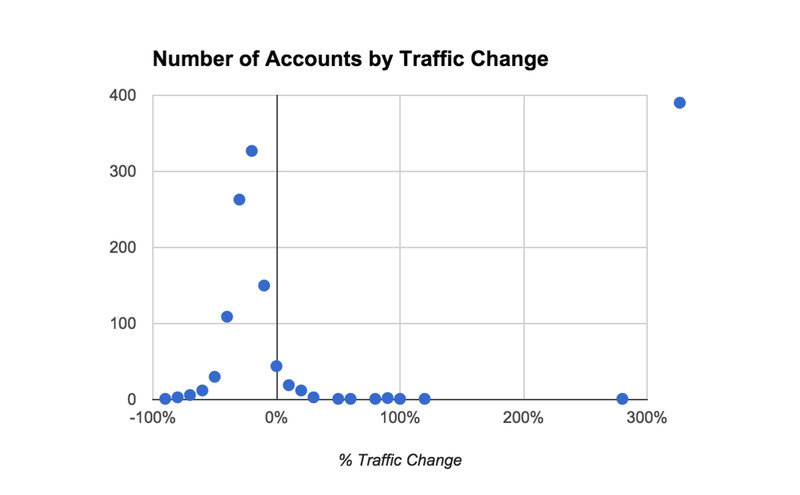 On the bell curve/graph titled "Number of Accounts by Traffic Change" I see a marker near 300% increase, so is that just like 1 or 2 subdomains that you are pointing out or have a reasonable number of subdomains seen that increase. You guys are doing an amazing job though, hope things change for the best soon. Interesting. My first thought is if this update hit specific topic categories more than others, then the way that topic authority is gauged by google must have been tweaked? This explains so much of what's been going on in the way of traffic. Thanks for taking the time to share this information with us. Thanks for explaining the sudden drop in traffic. My traffic is not really great, but it had gone down from bad to totally miserable. I was just looking at it wondering on what went wrong. Will I be whacked with a sudden death or is it just a temporary thing? Really confusing! 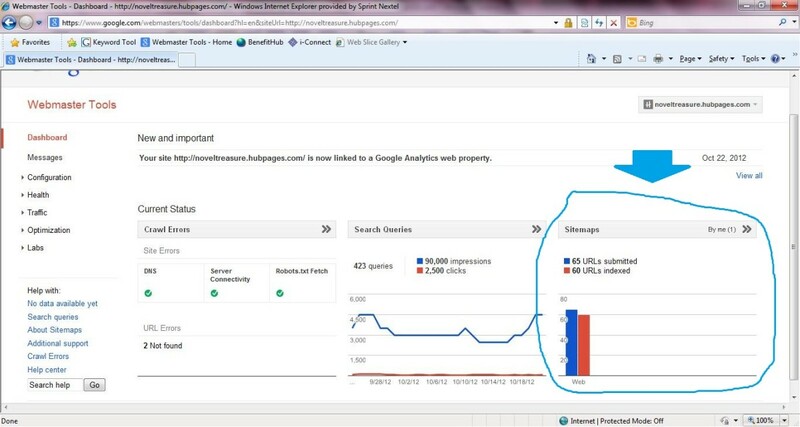 Paul, would you further explain what I am seeing in the 'Change in Google Traffic by Content Quality' graph please? Where a hubscore is 100, is that showing the 'least' amount of change ... or the 'most'? Thanks for being so supportive and transparent, Paul. This helps more than you know - we feel included and informed. As you continue to analyze things, please tell us what we can do to improve the situation at our end. Very informative albeit not so good news. I really appreciate your sharing this information with us, Paul. It truly underscores how we are all in this together and that we can individually stop spinning our wheels. The ball is clearly in Google's court. So we shall see what happens. Thanks for your empathy and going to bat for us. Voted up, useful, and interesting. The graph shows a handful of accts made out like bandits. It could be instructive for other writers to see whose accts gained not necc. to copy their style but to see what is favored by G and adjust accordingly. Could you make a blog post analyzing the small number of accounts that gained some search traffic? Thanks for the information, I wondered why traffic had dropped. Glad you're working on it. This was interesting info, and I am glad that you shared it. Unfortunately, it makes things appear as though no matter what we do, Google is going to nail us as a whole, rather than viewing us as individual writers. It's very discouraging, but we have no control over what Google does. Our only hope is that they will pay attention to your comments and put things in proper perspective. Of course we need to please the reader, but this is not a separate thing from producing informative quality work. I just don't know how they are missing that point! Thanks for the breakdown, I really feel for those on here long term who have been hit the hardest. Get it together Google. I really do appreciate that you made this announcement, Paul. 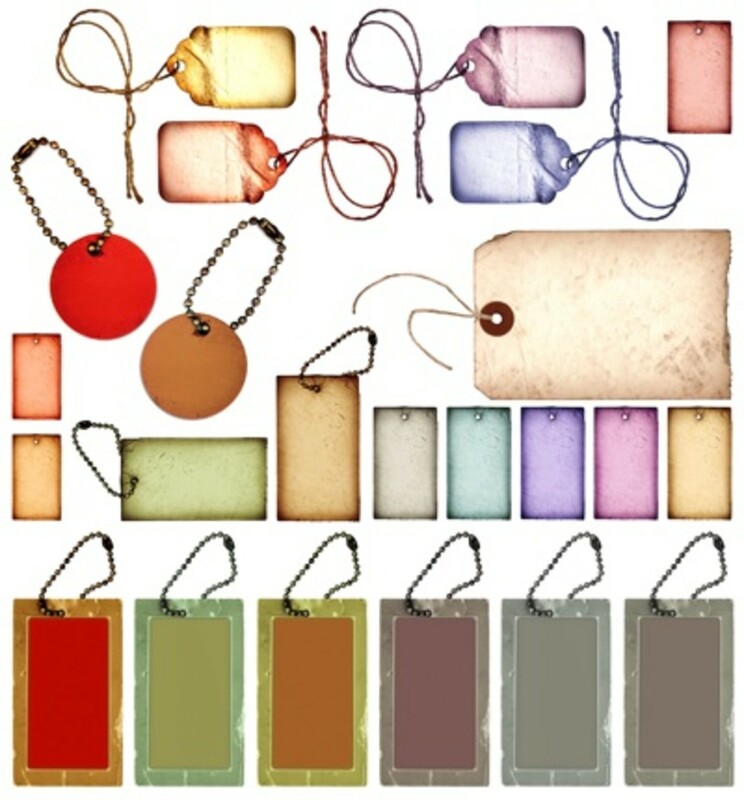 May we find favor on HubPages somehow, someway. Perhaps Google takes into account the reputation of the writer which is something that Hubpages may not be currently taking into account. By super promoting articles that the Hub team views as good and possibly burying work that Google may view as good you may actually lose some traffic. Let articles stand on their own merit. If they are not breaching any TOS than this should not be an issue. Thank for the stats and analysis, Paul. I really hope that Google responds positively and I appreciate the good changes to HP. Thank you, Paul. With this update, my views are now down to almost one tenth of what they were prior to Panda 4.1, in spite of publishing a further 16 hubs. I'm inclined to agree with Janderson (above). It's extremely unfair. Thank you for all your efforts, Paul. Looks like classic 'quota' adjustment to me. Did the latest set of manual penalties and reaction have an impact? Thanks, Paul, for this clear and thorough explanation of what's happening. Google is focused on only one thing, and that is reader satisfaction. I feel confident that everyone on HP staff is doing their best to work at matching that general consensus.